Looking for the back it is a clear cut disposable one I am having. I had sent my Nikon camera for repairs and could only have it claim two weeks later. Really feel so awkward without it. 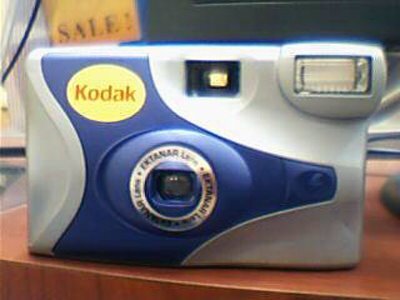 Anyway I am using a disposable Kodak MAX one-time-use camera as a back up for my photo taking. And as for my digital camera , my brother in law needed it for his personal use so I had to lend it to him . 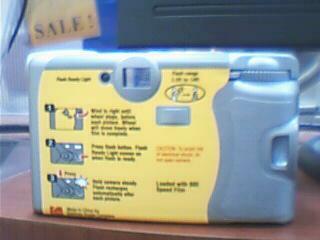 All I only have now is a disposable film base camera and a low end digital webcam for myself.